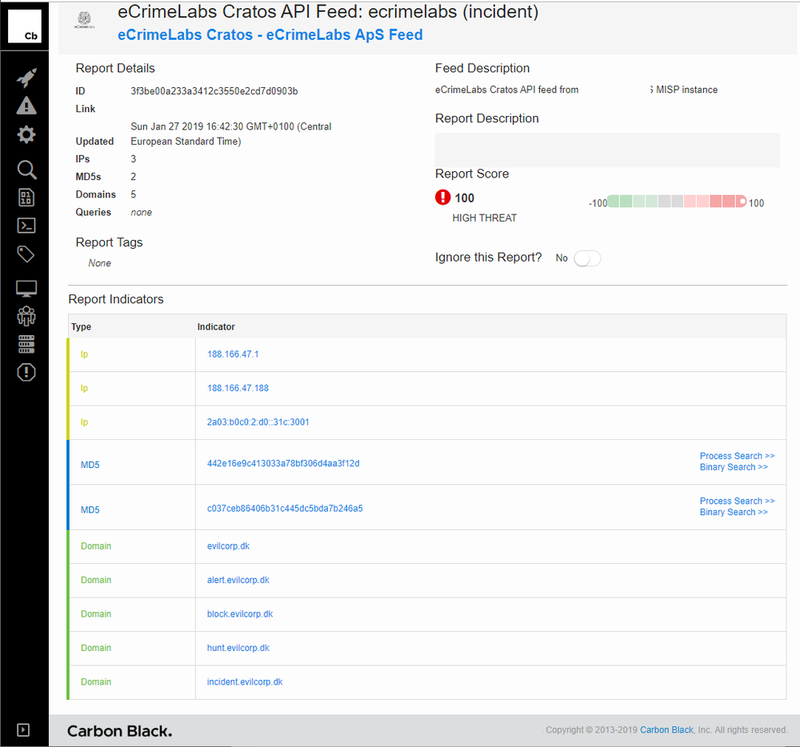 With the latest update of the Cratos API to version 1.45 (https://www.ecrimelabs.com/cratos-threat-api) we now support direct integration between MISP and Carbon Black’s CB Response (https://www.carbonblack.com/products/cb-response/) through delivery with Threat Intelligence Feeds. The integration uses the same functionality as with the other feeds Cratos API provides, meaning when you add custom tags in your MISP instance it becomes avaliable in the Cratos API for your security components to consume. The integration into Cb Reponse is simple. Login into your Cb Response portal click “Threat Intelligence” and “Add new Feed” here you paste the URL to your Cratos API. With this in place the MISP data will regularly get updated into your Cb Response installation.